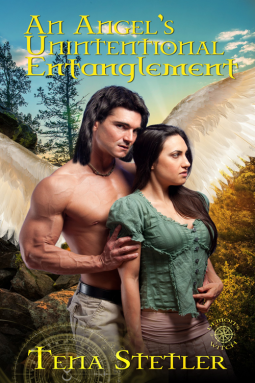 Fallen warrior angel, Caden Silverwind, lives alone in Colorado's rugged Rockies, healing from physical wounds as well as the mental anguish suffered during battles with dark demons. Then he finds a woman barely clinging to life after a horrendous beating. He is not prepared for the entanglement she brings to his life, nor the feelings she awakens in him. Bureau of Indian Affairs Agent, Mystic Rayne’s personal dilemma and assignment nearly gets her killed. Divine intervention is a complication she never expected and her growing attraction to Caden is undeniable. Can she trust him with her secret? Their quest to uncover her attacker takes them from the pristine mountains in Colorado to the wilds of Wyoming. Along the way, they find answers which may place them in more danger. Determined to solve the mystery, they must also navigate their feelings and fears to find love and unite heaven and earth. This was a very nice story to read, the characters where well rounded and likable. The story was interesting and easy to read. I didn't mind this book, I didn't get very far into it. It fell a bit flat. The connection between the charters, what was happening around them. It was all just a bit blah/flat.